A while ago I had seen a really pretty fabric called Lily & Will designed by Bunny Hill Designs and manufactured by Moda. At the time I had really, really wanted to buy it, but I didn’t have a specific project in mind for it and I really couldn’t just buy another collection of fabric and store it on my fabric shelf. I had just done that recently and the fabric was languishing and waiting for inspiration. So I was thrilled when I got an actual baby project commission and the mom-to-be loved muted earth tones, greens, and Tuscan yellows. Exactly the Lily & Will palate. Yay for me! By scouring the DC area fabric stores and some of my online favorite places, I managed to find all the fabric I needed. One of the boxes came and I seized it with a vigor and glee that made the UPS man take a step back. I was pretty excited. 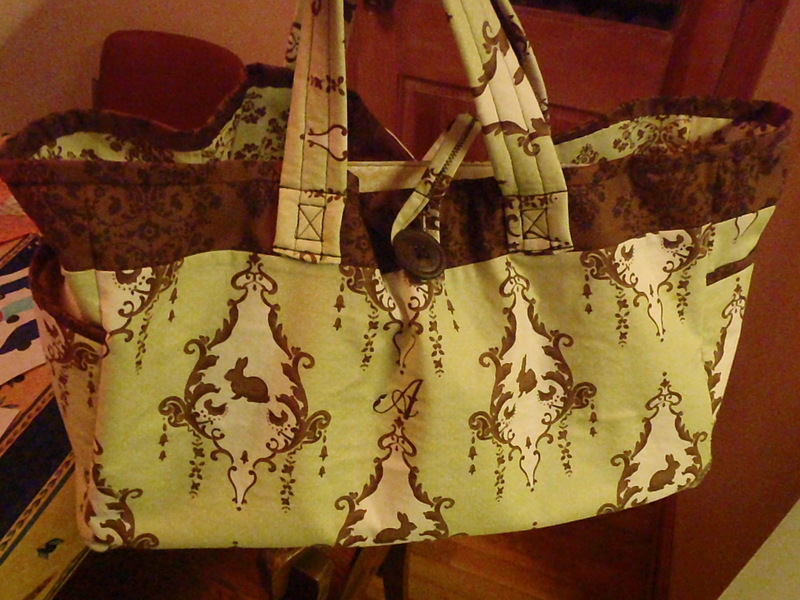 Three solid days of cutting and sewing later, I had a diaper bag. Because we’re talking about a woman with 2 small children and one on the way I wanted the diaper bag to be roomy and easy to quickly yank things out of. 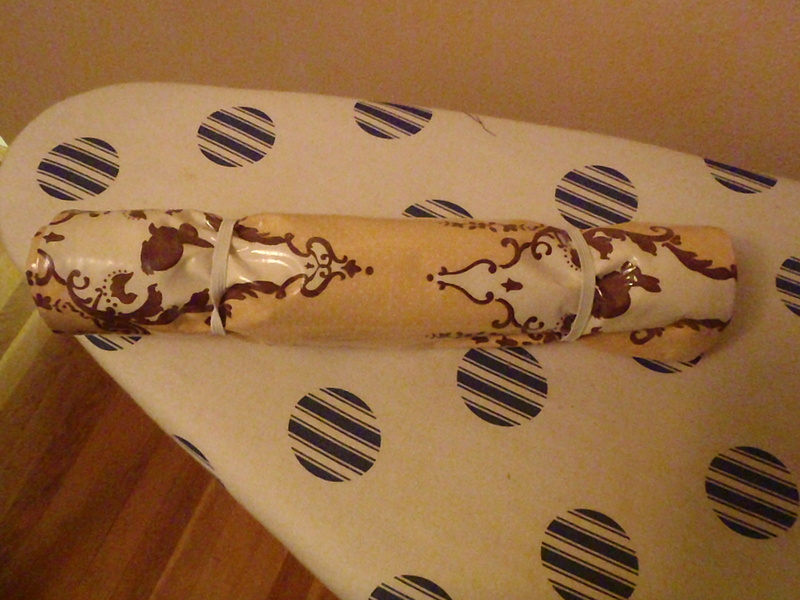 So I went with a lot of pockets inside, a pocket at each end, and a divider down the middle. 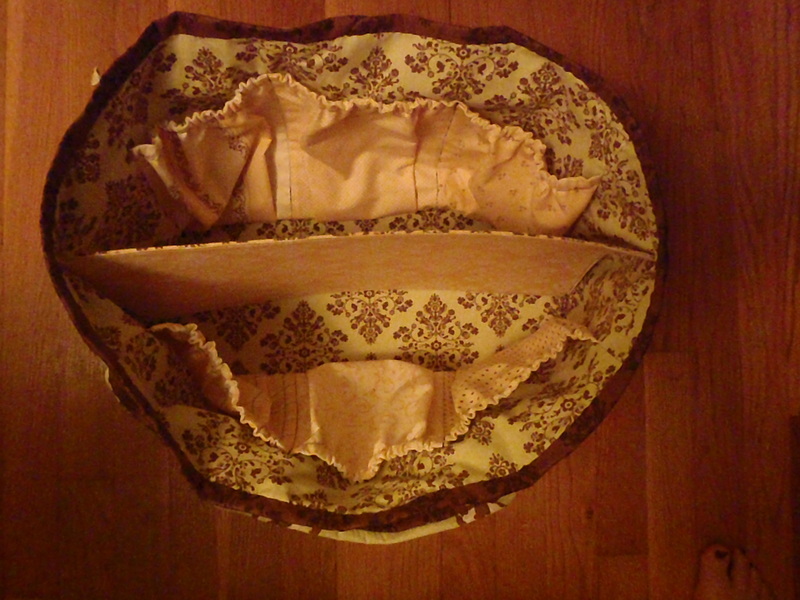 One of SIX interior elastic topped pockets. 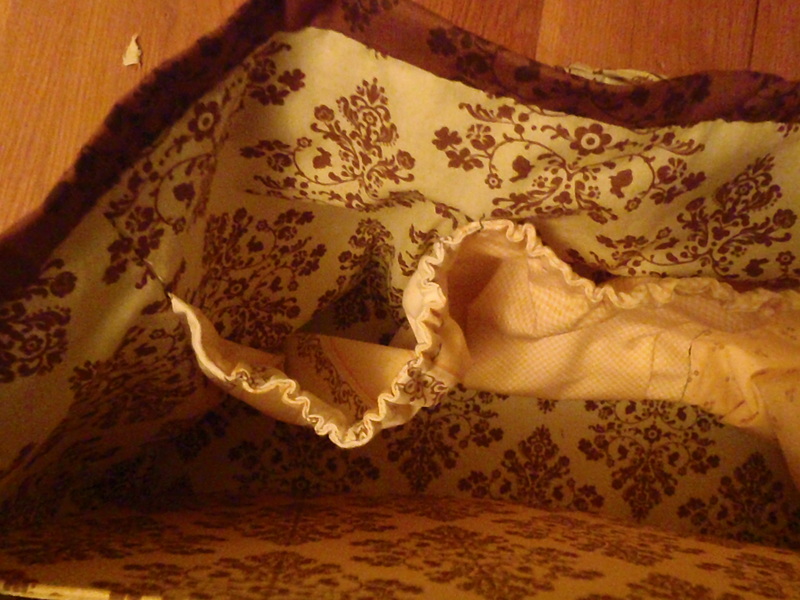 The interior of the bag - see all the pockets in yellow and the divider? I also gave it a loose button closure so things wouldn’t just fall out, but she could plunge her hand in quick when she needed a burp rag or snack. And for that special touch I added a monogram for them. 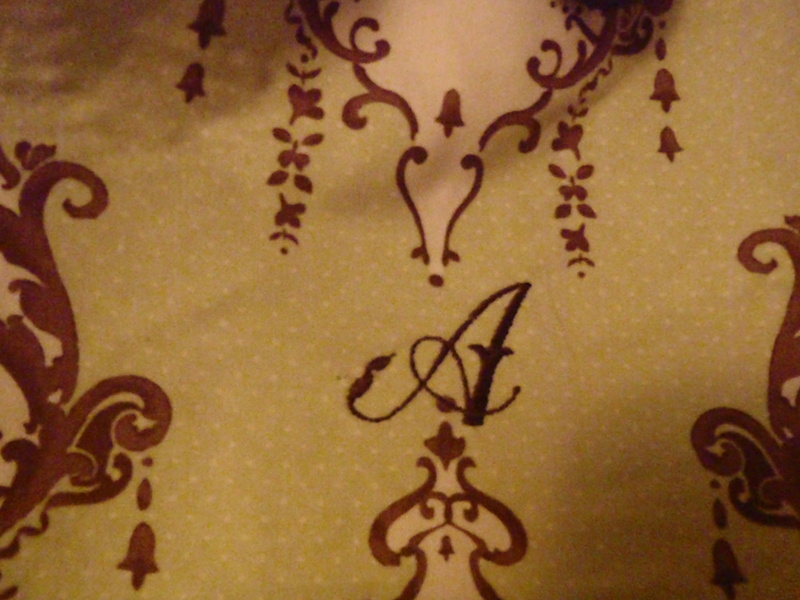 Her last name began with an “A” so I picked a nice curvy script and let my embroidery functions do their thing. And as a bonus to her I sent her a changing pad. It was a prototype using some iron-on vinyl I’d never used before so I stuck it in for free. The iron-on vinyl went on like a dream and I’m excited to try it for other projects. 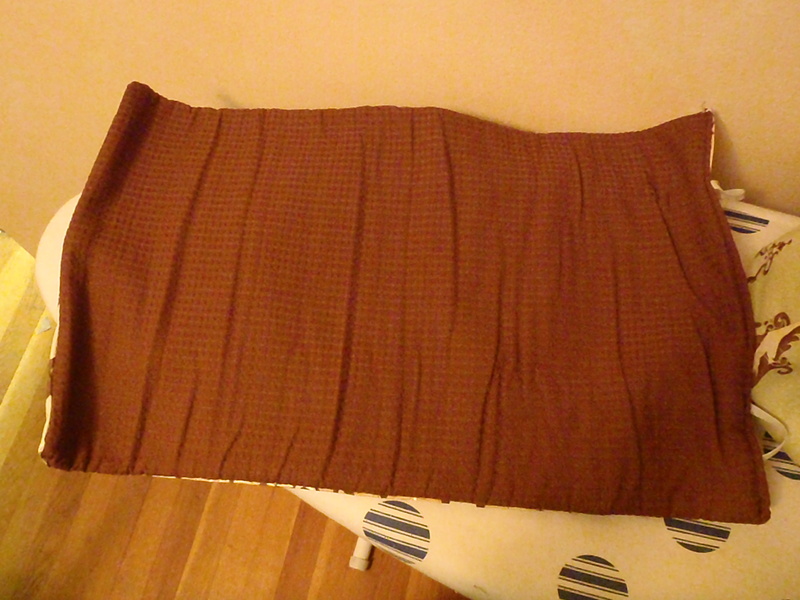 For the inside of the changing pad I used a waffle-woven fabric in a brown that matched the fabric collection and I batted it with cotton quilting batting. It looks pretty slick. 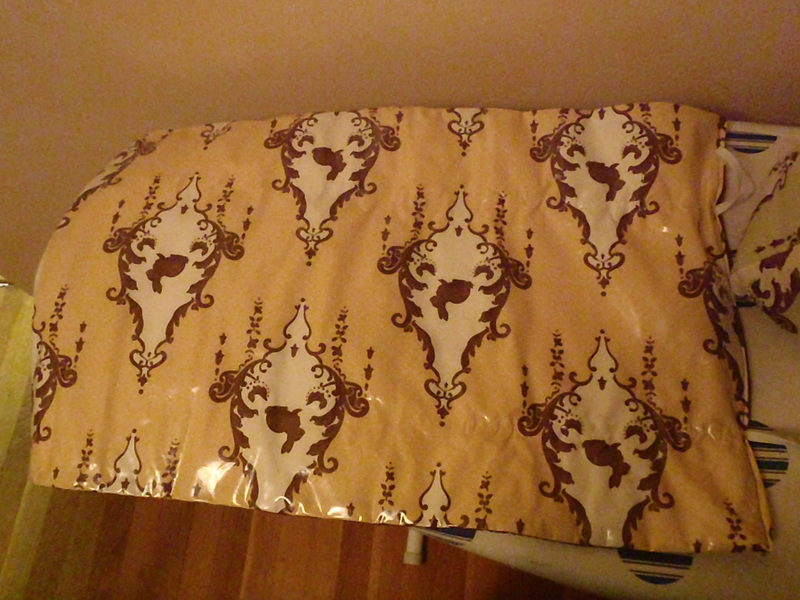 Back of the changing pad - the shiny part is the iron-on vinyl. The inside of the changing pad. All rolled up with elastic! 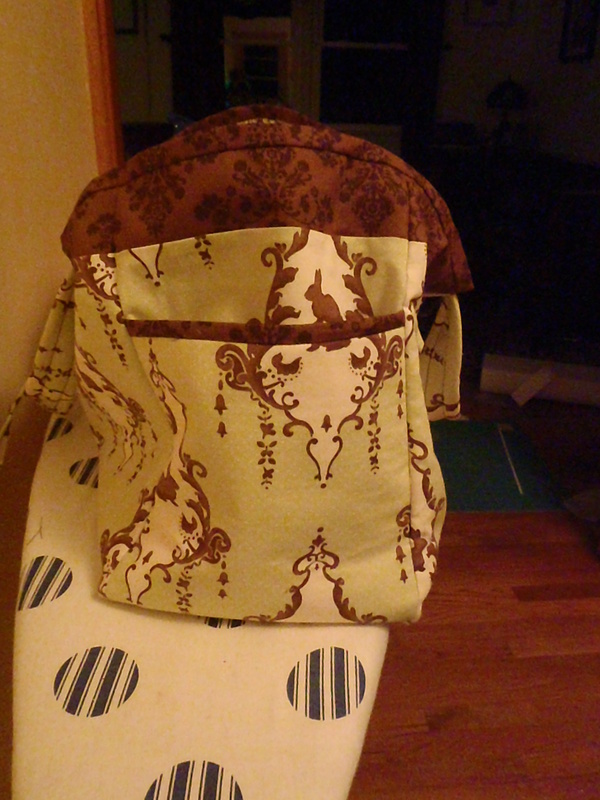 Next time I may decide to use a hand towel cut to fit the fabric. That would give it a different kind of durability and cushioning. And there will definitely be a next time for the entire project. I’m hoping the giftee will get back to me with some comments after some real-world use and I can improve the design, but regardless I will be making more of these bags. Hopefully I’ll have one or two for the home show in December! Beautiful and it looks practical. Made by a mother who knows what she’s talking about. Experience is a great teacher. congratulations. You are required to like it. You’re my mother. This is beautiful! 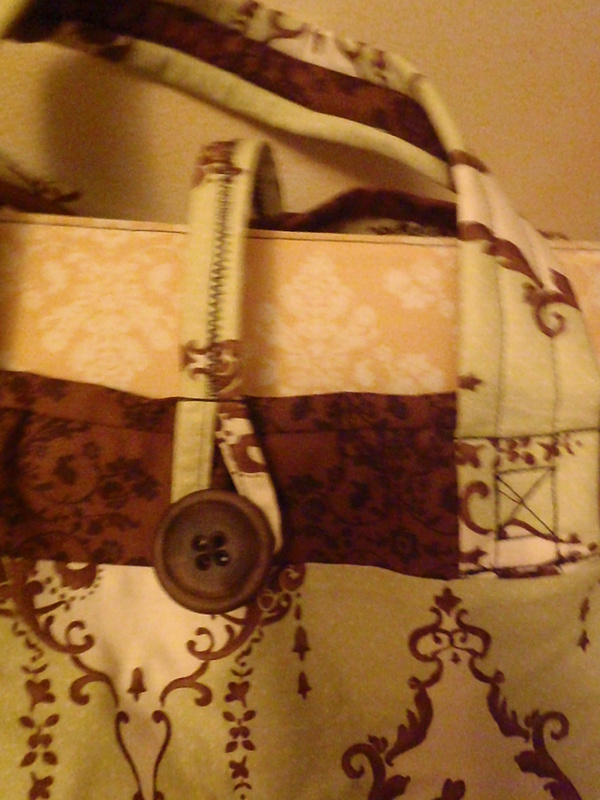 You could use this bag for anything, even when you don’t need to cart around diapers any more!